Say you want to sit down and play some 5th Edition. But you're not really in the mood for enchanted forests and unicorns and stuff like that. Say you want something a bit more Alien. Well, that's where Esper Genesis comes in. It's a sci-fi horror sourcebook, so instead of dragons, you're fighting against alien life forms, and instead of bows and arrows, you've got laser blasters, and instead of swords, well... you've got swords, but they're also made of lasers. You can get your copies now. Today Alligator Alley Entertainment announces the wide release of the Esper Genesis Core ManualTM, now available in hardcover and fully compatible with the 5E rules of the world’s most popular roleplaying game. 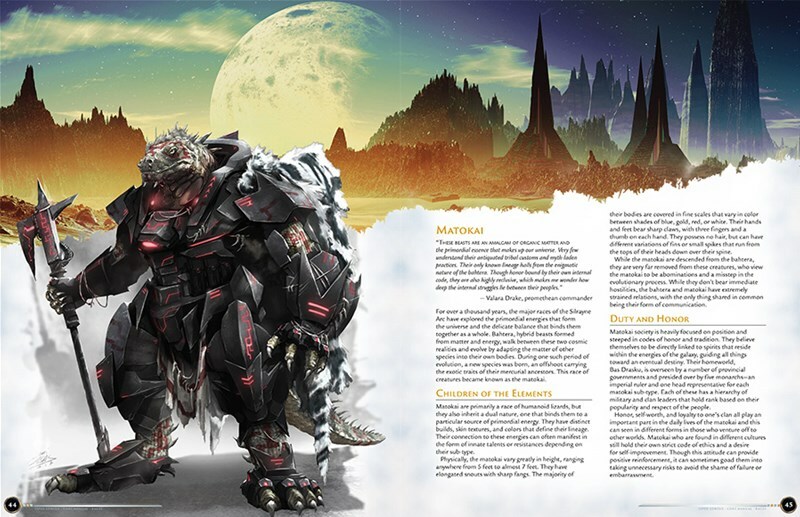 Gamers can acquire the book from their friendly local gaming store, which can be ordered directly from Alliance Game Distributors and other major distributors through Studio 2 Publishing. Of the Esper Genesis game, Lead Designer Rich Lescouflair said, “There’s something in Esper Genesis for everyone. It takes the heart of 5E, which is focused on amazing and fun adventures, and combines it with the epic wonder and excitement inspired by popular sci-fi books, shows, and games like Star Wars, Mass Effect, Ghost in the Shell, the Expanse, and more.” Explore the Silrayne Arc galaxy with the 304 page hardback book, presented in detailed, full color, art with a unique sci-fi look and feel, along with a collection of short stories detailing the immersive roleplay setting. 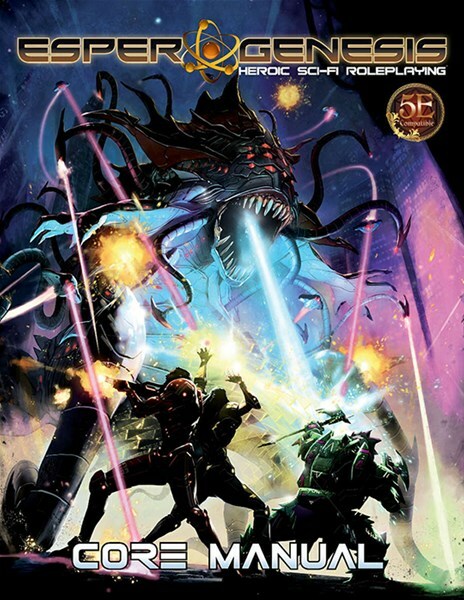 All of this in a ready-to-use heroic roleplaying game powered by the familiar, fast-paced 5E rules engine with unique rules for alien species, sci-fi environments, and starship operations. In addition to the Core Manual, two more core books (the Threats Database and Master Technician’s Guide) and a series of organized play adventures are scheduled for release from the final quarter of 2018 through the 1st quarter of 2019. Alligator Alley Entertainment (AAE) is a tabletop role-playing game design and publishing company based in South Florida. AAE creates shared-world experiences fueled by amazing stories where your heroes matter. Founded by a team of long-time RPG veterans, they have produced a number of tabletop role-playing products including Witch Hunter: The Invisible World and the Esper Genesis RPG.